Looking for some new ways to add some pizazz to your home? Here are some trends happening this year that I am sure will last. When mixing metals, contrast is key! Allow yourself to mix gold, brass, copper, nickel, silver, and chrome. Keep in mind the textures and don’t be afraid to use them. It is important to remember to keep it subtle, don’t over do it. Whether it be on the floor or a unique backsplash design, herringbone style is perfect for any surface. 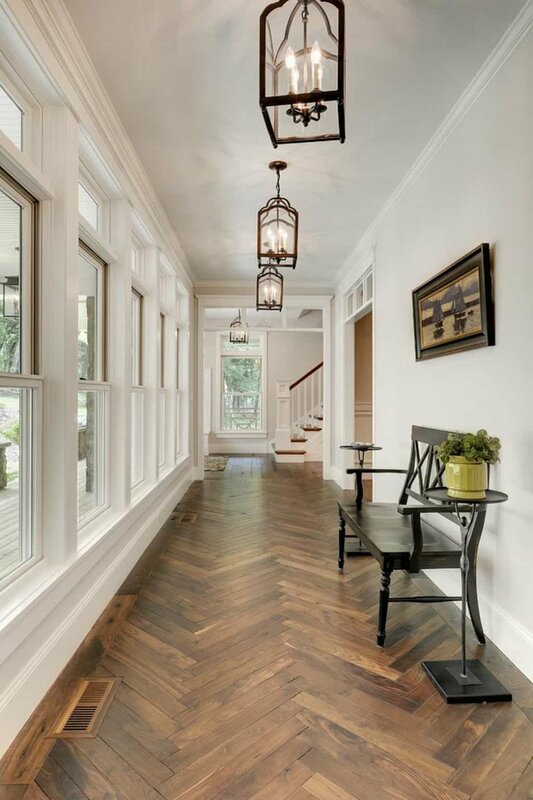 Herringbone is a classic pattern that works well with modern and vintage style homes. Nothing says “Hello” like a bright welcoming. 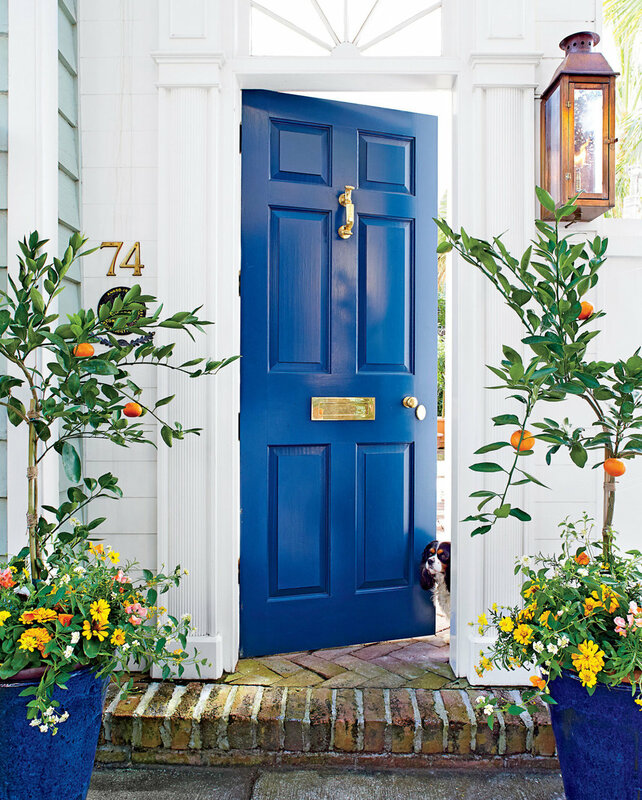 Illuminate your home with a painted front door while also giving it some curb appeal. Keep in mind, it’s not as simple as it may seem. It is important to prep, paint, and have patience with the drying process. Add life into your home. Plants bring a bright, lively, and gorgeous feel to any space. But what is the best way to display your plants? A simple way to show off your green thumb is on a desk or as a centerpiece on a dining table. Using small geometric pots or using the same pot color scheme. Like in this photo making or purchasing a wall planter is a good way to keep plants and herbs together in one area. “They don’t make things the way that they used to.” Using natural materials in interior home design is becoming more and more popular. Using materials that have been harvested by the earth are extremely durable, with the proper care. Whether it be for the ceiling, floor, fireplace, or decor, using renewable materials in your home will keep your home in trend while helping the environment. A favorite way of mine to use natural materials inside the home (or even on an outdoor patio) is concrete counter tops.